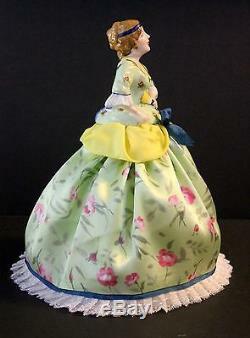 This tea cozy features a remarkable match of the skirt fabric to the painted porcelain top! 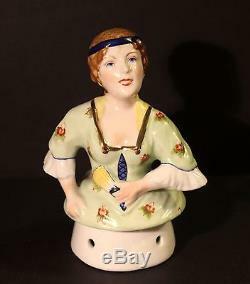 The porcelain figurine is 5H. No chips, cracks, crazing or repairs. The finished doll stands 10 1/4 tall. 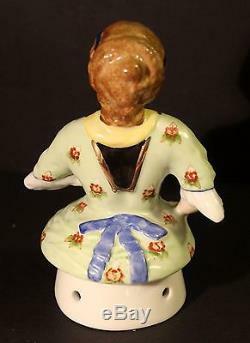 The bottom of the figurine is marked with the blue underglaze windmill hallmark of Karl Ens. 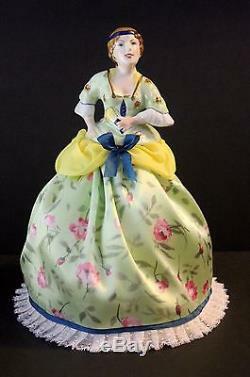 The Karl Ens porcelain factory was founded in Thuringia, Germany, in 1899. Beautifully and expertly hand painted! Please use the zoom to see all the facial details. I mounted her on a steel hoop which has a bottom diameter of 4 1/2 and fits easily over many items which can be found on a vanity table. 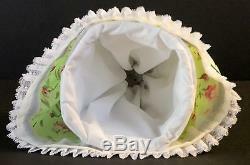 For example, a large jar of cream 4" in diameter and 2" tall, or a small jewelry box of similar dimensions. This is a very unique piece! Not only is this figurine extremely rare, but since she was custom dressed by me, you are guaranteed to never find another one quite like her! 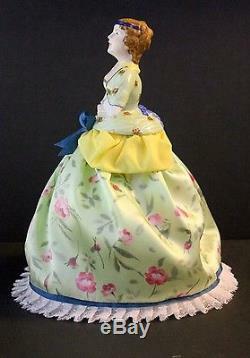 The dress is newly made and has no stains, smells or dust. 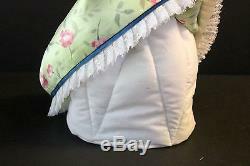 Please check out my other auctions for more unique and vintage gift ideas! Comes from a non-smoking home. 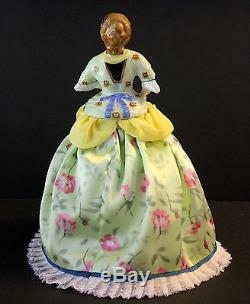 The item "Large RARE Vintage German Karl Ens Boudoir Porcelain Half Doll Tea Cozy" is in sale since Sunday, October 28, 2018. 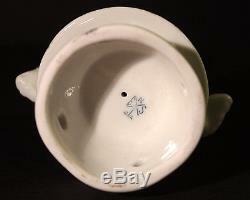 This item is in the category "Pottery & Glass\Pottery & China\Art Pottery\European Pottery\German". The seller is "docartist1" and is located in Greensboro, North Carolina. This item can be shipped to United States.